THE BEST LAWN CARE GUYS IN IOWA CITY & CORALVILLE. We approach lawn care with the personal touch only a crew of two can give. 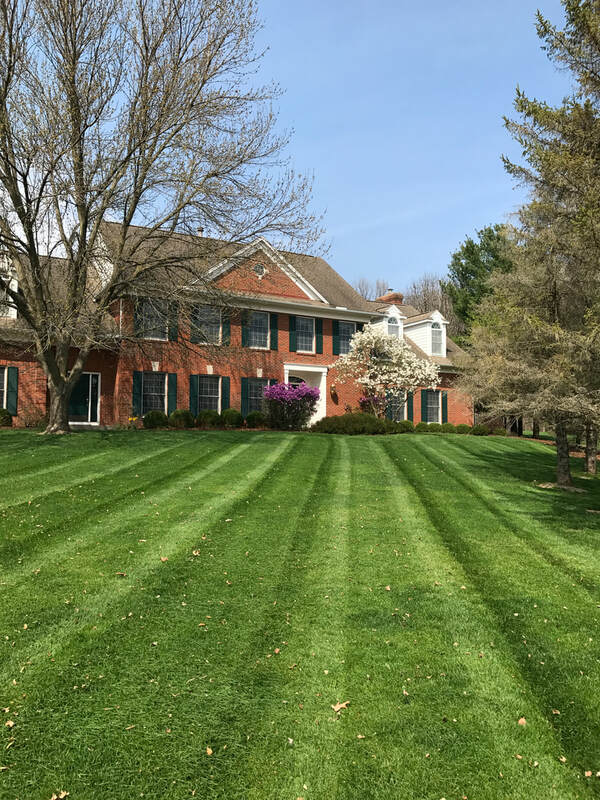 Genesis Lawn & Landscape has been providing the Iowa City and Coralville area with quality lawn care services since 2013. We recently rebranded to Genesis from Lawn & Land, and we're excited about this new chapter in our company's history. ​We are able to offer a personal approach to each lawn (there's only two of us!) and the ability to avoid being rushed and sloppy when it comes time to service your lawn. Plus, there's flexibility. It's no big deal if you want us to skip a week, or even come more than once a week. You won't find us mowing dried, thirsty grass. We're super careful and fully insured, so you never have to worry about property damage. We promise your experience will be hassle-free. No fussy contracts, just pick up the phone and schedule your free, no-obligation estimate. We'll come out, take a look, and give you a price per service. Then we'll bill you monthly via snail mail or paperless online billing. Your call. Prefer your lawn be pushmowed? Let us know and we'll give you a separate bid. We use well-maintained commercial grade lawn mowers to groom your lawn weekly or however often you want. Our operators are careful and conscientious and will leave your lawn looking its finest. Need a tuneup on your landscape? We provide mulching, weeding, pruning and other general cleanup services. We provide retaining wall and patio installation, along with edging and other landscape features. Start by sending us a message, or give us a call at 319.325.3175. If we don't answer, it's just 'cause we're on the mowers and you can leave us a message!